Chocolate is the answer. The question? Irrelevant. There are two absolutes concerning this confection. Everyone that tastes it asks for the recipe. And, every time someone makes it for the first time, they panic; old-timers and newbies alike. You probably know of Ina Garten. She’s the former owner of a famous specialty food store. When she sold it, she kept the store’s name, “Barefoot Contessa” as her own moniker. In her books and TV shows, she shares lots of classic recipes. 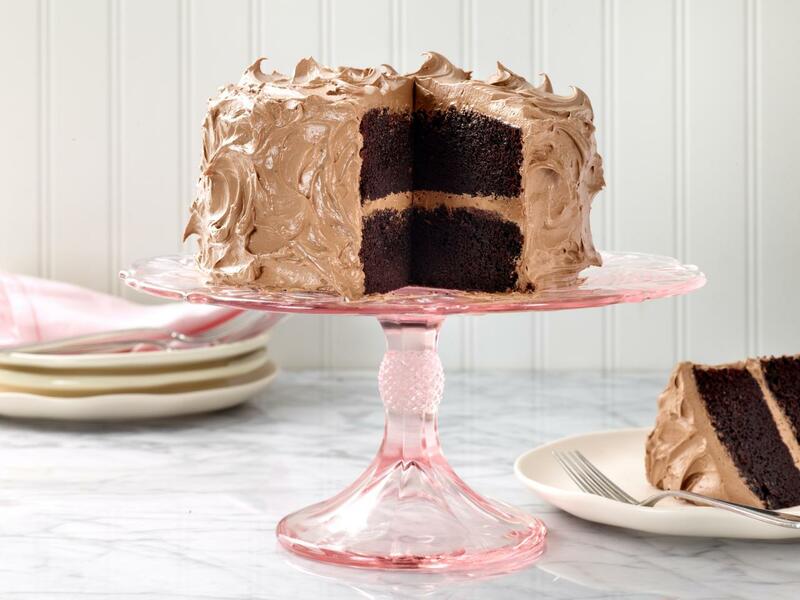 If you close your eyes and think of chocolate cake, this is that cake. Her version is rich, moist, and delicious; and the frosting tastes like sweet chocolate butter. Preheat oven to 350. Butter 2 (8-inch) round cake pans. Line pans with parchment paper, then butter and flour them. Sift flour, sugar, cocoa, baking soda, baking powder, and salt into bowl of electric mixer fitted with a paddle attachment and mix on low speed until combined. In another bowl, combine buttermilk, oil, eggs, and vanilla. With mixer on low speed, slowly add wet ingredients to dry. With mixer still on low, add coffee and stir just to combine, scraping bottom of bowl. Pour batter into prepared pans and bake for 35 to 40 minutes, until cake tester comes out clean. Cool in pans for 30 minutes, then turn them out onto cooling rack and cool completely. So here’s where the panic comes. The batter will be thin. I mean thin like the consistency of heavy cream thin. When you make the batter, you’ll think you’ve screwed it up. You haven’t—it’s fine, I promise. Chop chocolate and place it in heat-proof bowl set over pan of simmering water. Stir until just melted and set aside until cooled to room temperature. In the bowl of electric mixer fitted with paddle attachment, beat butter on medium-high speed until light yellow and fluffy, about 3 minutes. Add egg yolk and vanilla and continue beating for 3 minutes. Turn mixer to low, gradually add confectioners’ sugar, then beat at medium, scraping down bowl as necessary, until smooth and creamy. Dissolve coffee powder in 2 teaspoons of hottest tap water. On low speed, add chocolate and coffee to butter mixture and mix until blended. Don’t whip! To frost: place one cake layer, flat side up, on flat plate or cake pedestal. With knife or offset spatula, spread top with frosting. Place second layer on top, rounded side up, and spread frosting evenly on top and sides. A word of caution about the frosting: although I am always on the “more is better” bus, this philosophy will not work here. The amount of chocolate in the recipe is perfect. If you add more, as the frosting sets, it will get hard and crack, ruining the beauty of your work. Don’t do it. In the end, you could also call this a “get” cake. If you make it, you’ll get the praise, get the raise, or get engaged. Better “get” going.